The Denver Nuggets knocked down the Washington Wizards 117-113 on Thursday night. The game showed more than just a team playing together; it showed a group of guys playing hard for 48 minutes, who never once stopped believing in themselves. Usually, teams playing their second game in two days come out sluggish; this was not the case for the Nuggets. 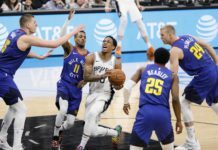 The Nuggets played hard when they had the lead and when they were down, a refreshing scene for a team that has shown its fair share of struggles this year. The Nuggets have been hit or miss virtually all season long, and that was shown on the team’s eight-game homestand this past week. 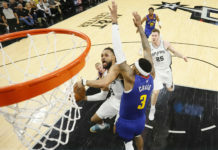 The Nuggets split that homestand, and showed that they have the potential to defeat their opponents; however, they failed to close out games at times. 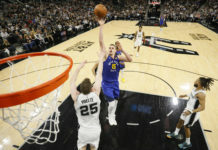 All season long, the Nuggets have struggled to find a rhythm during the course of a game, but the team seemed to find their stride in Thursday night’s win. One thing that was made clear prior to the start of the game was that the Nuggets were going to need everyone to contribute. Well, the guys did that, and some. It seemed, all night long, that a new guy would make a play here or drain a big shoot there. The team played as a unit instead of as individuals, and it showed. It could have been a fluke, but it has shown over the course of the season that guys are getting to know one another better both on and off the court, and that builds chemistry. Chemistry is what binds a team together, and it is looking like the Nuggets have begun to develop a team chemistry. While they are not the flashiest team in the league, they do play with a ton of heart, and it has paid off. The teams record does not properly show what this team is really capable of. Since the new year, the Nuggets have been one of the most unified teams in the NBA. The guys are hungry and want to win now. While they struggle at times, they never give up and always keep fighting. This is refreshing due to the fact that a lot of teams throw in the towel when their team plays bad. When a team gets down, a lot of coaches, players and organization members throw in the towel, not the Nuggets. 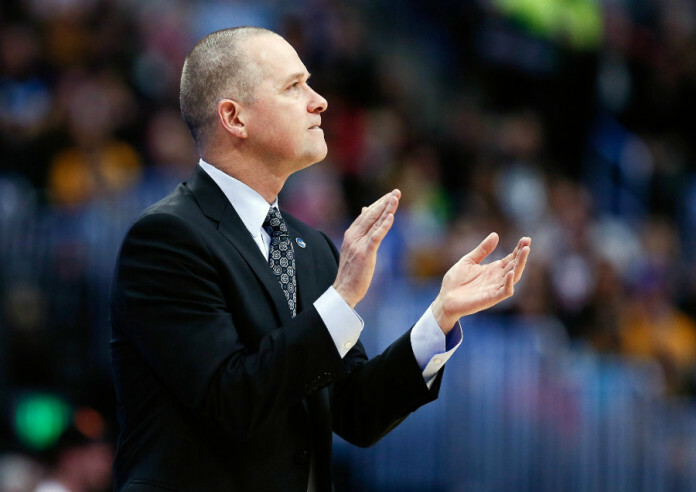 The Nuggets come out and play hard every single game for their coach, city and league. The team was lacking in depth coming into Thursday’s game but somehow managed to stick with the game plan and defeat the Wizards. This shows that both the coaching staff and players have faith in one another. The few things that we have learned thus far about the Nuggets this year is that they play hard, take pride in the game and are playing competitive basketball, and that is all the fans could ask for. The Nuggets next game is Saturday against the Pacers in Indiana.